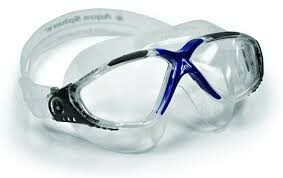 The Aqua Sphere Vista Clear Lens Swim Goggles feature the best in Aqua Sphere technology, with a comfortable, leak resistant skirt and a ­contoured, stylized frame, the Vista is low profile and virtually eliminates all of the drag experienced with other swimming masks. 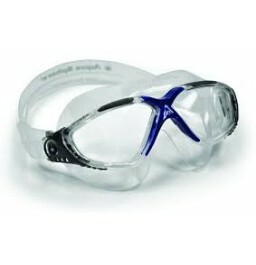 With its one-touch buckle, you are ensured a comfortable, custom fit so you can focus on your triathlon not you gear. Comfortable, leak resistant Silicone skirt.